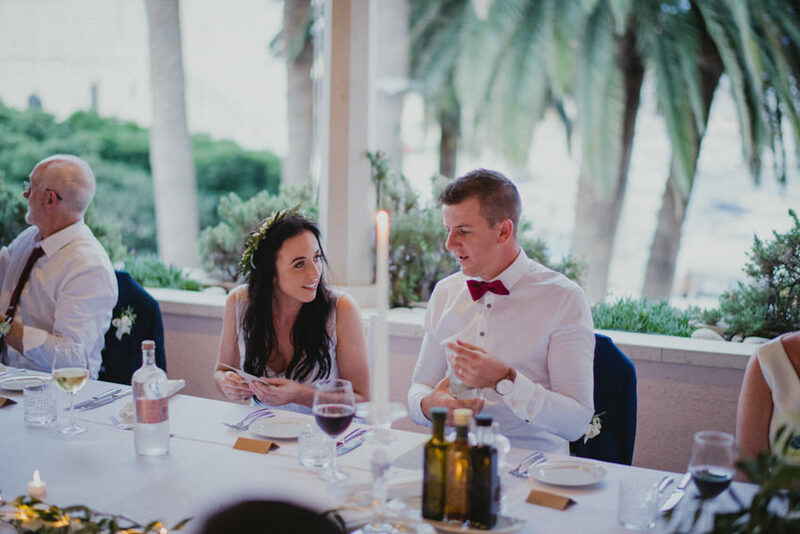 Where do you being when you’ve gotten to be friends with your couple before even meeting them? 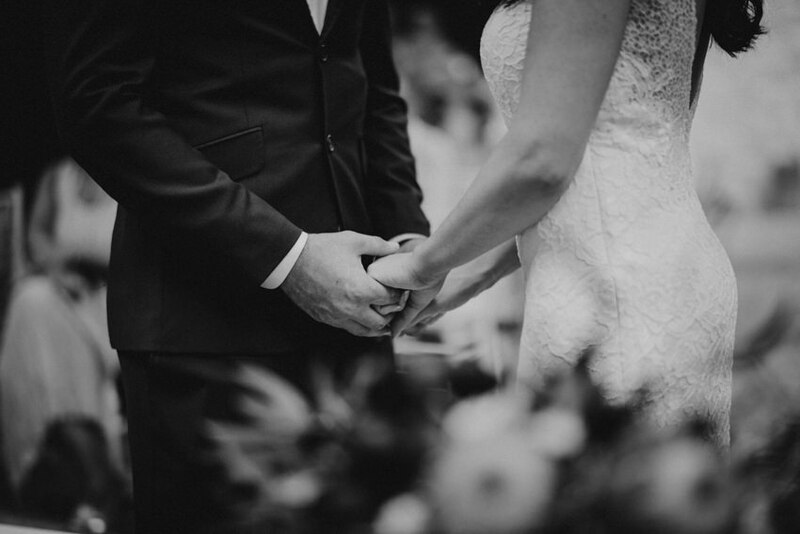 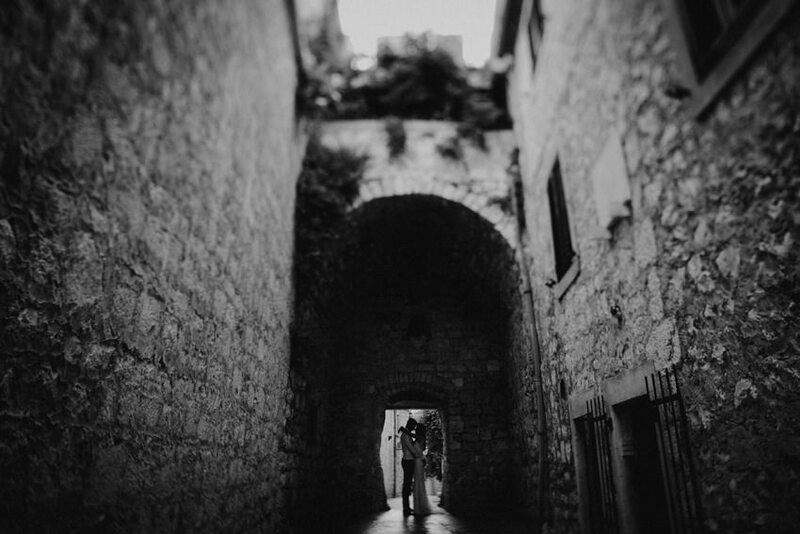 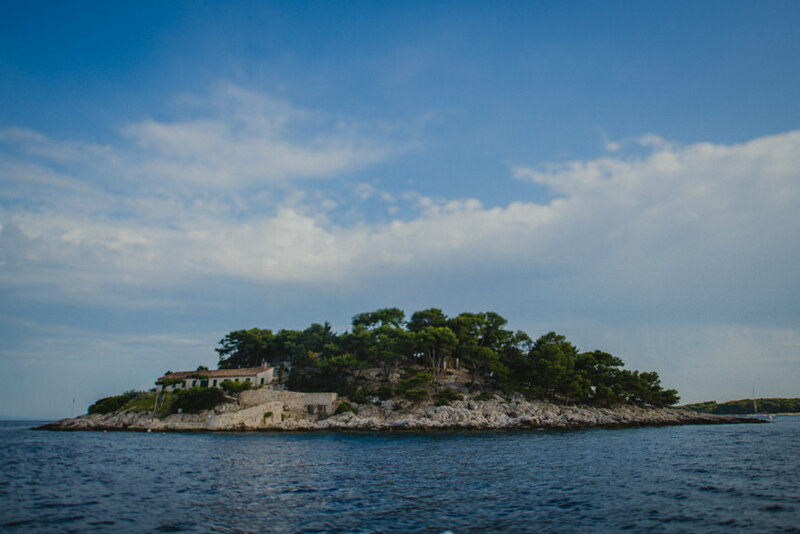 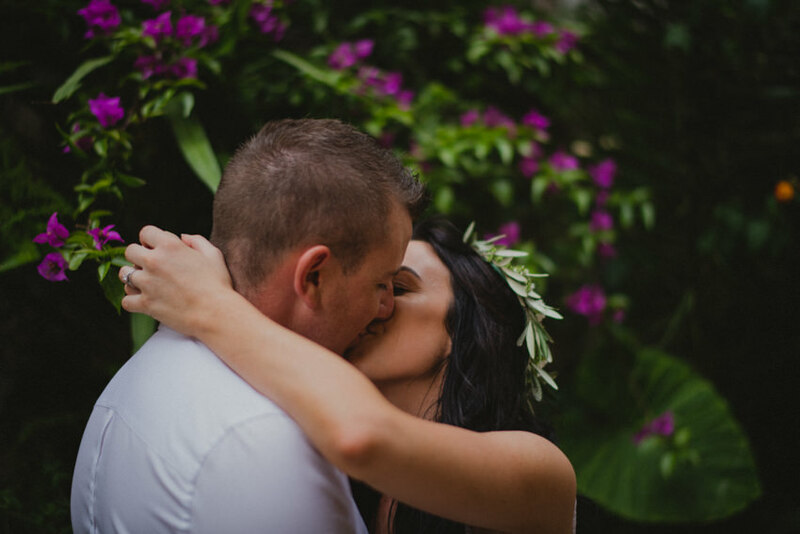 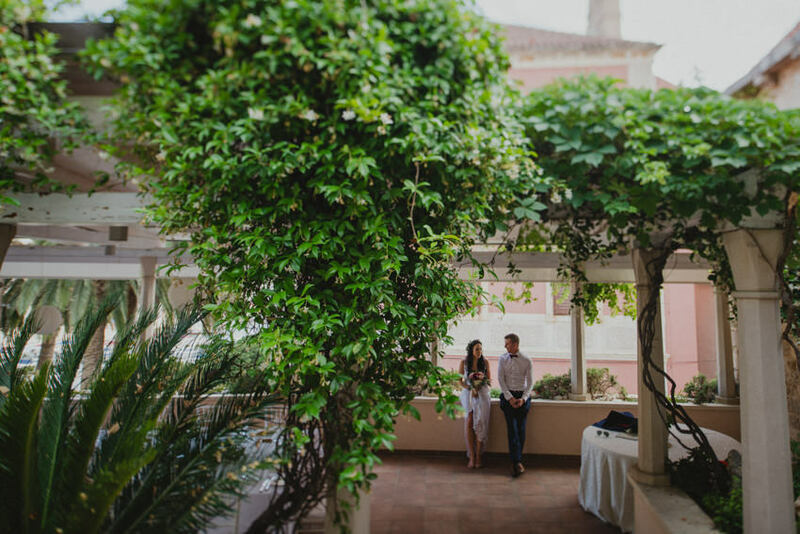 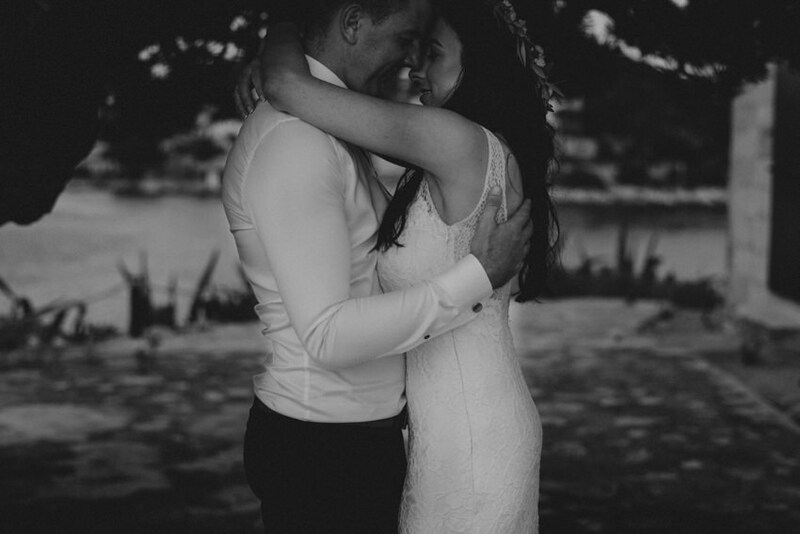 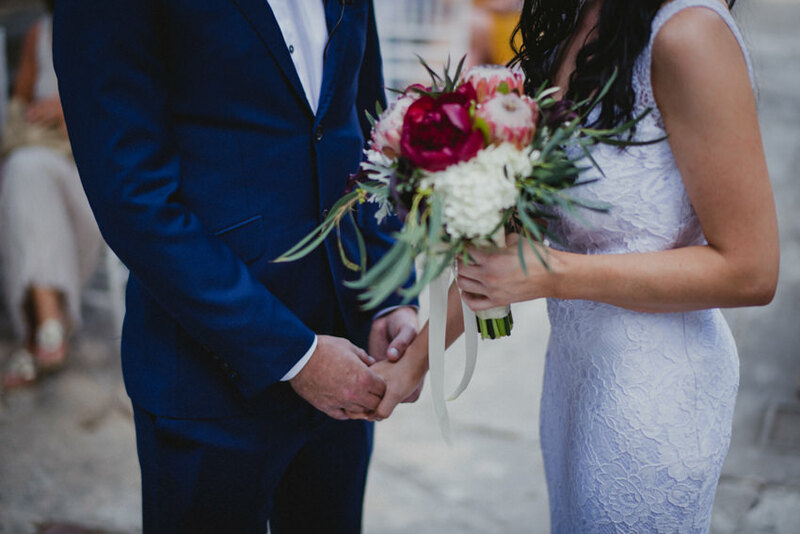 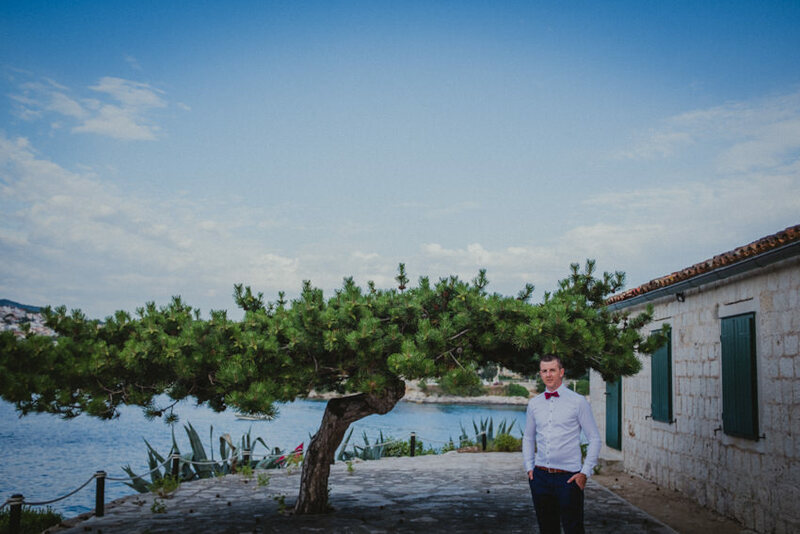 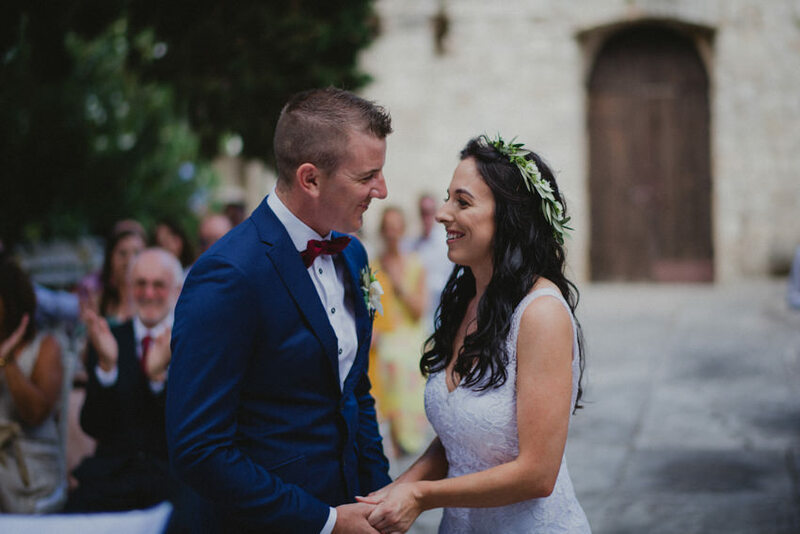 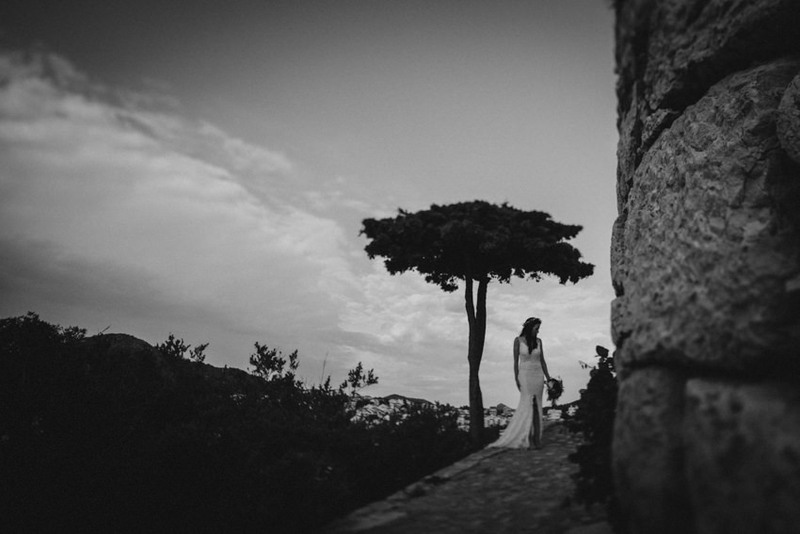 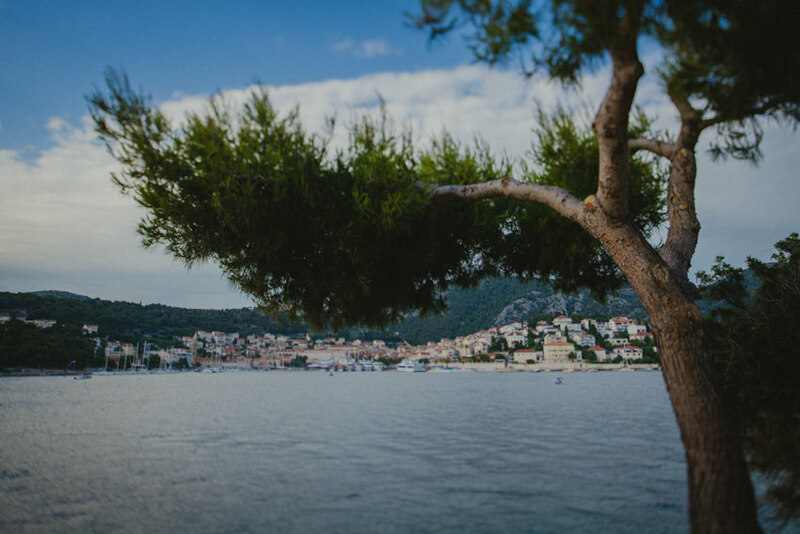 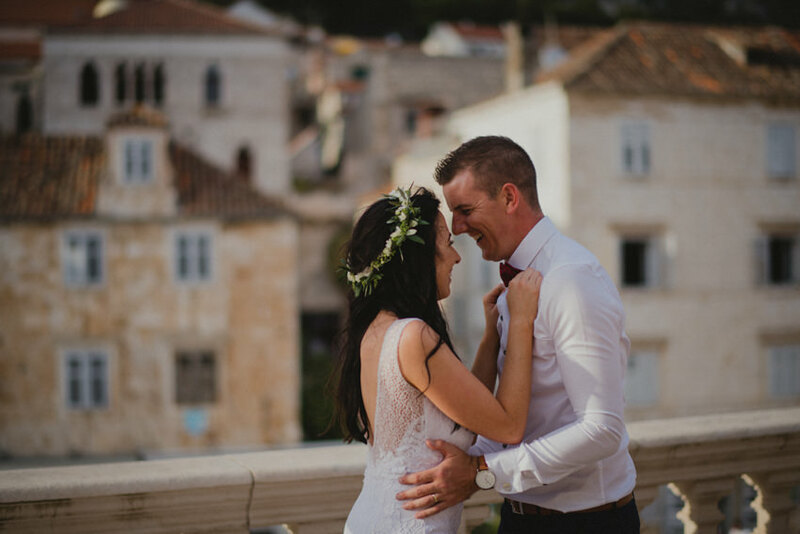 Two years ago, Shona and Bryan contacted me to be their Hvar wedding photographer. 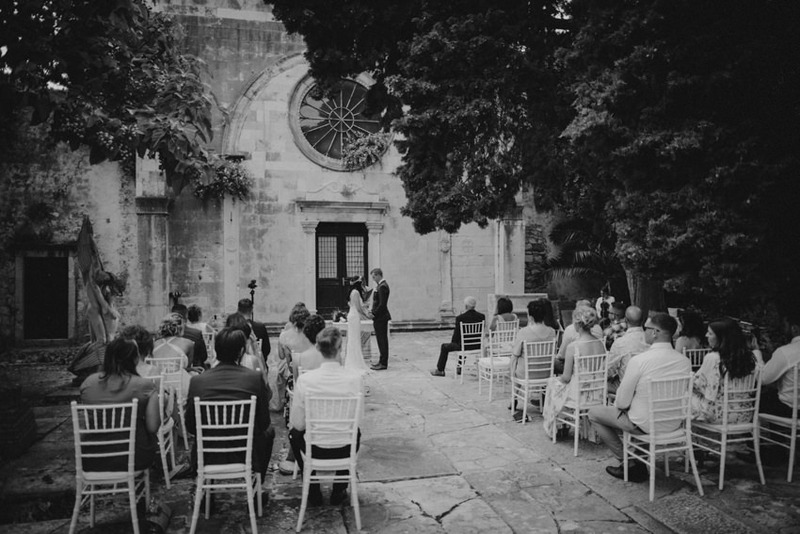 Back then they had little idea of how it is all going to look, but two years is a long time and email after email after email got us closer and closer to their dream day. 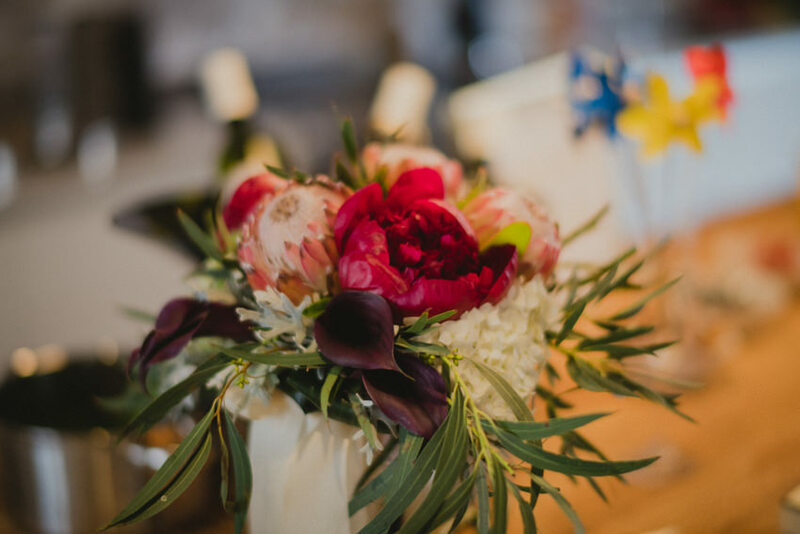 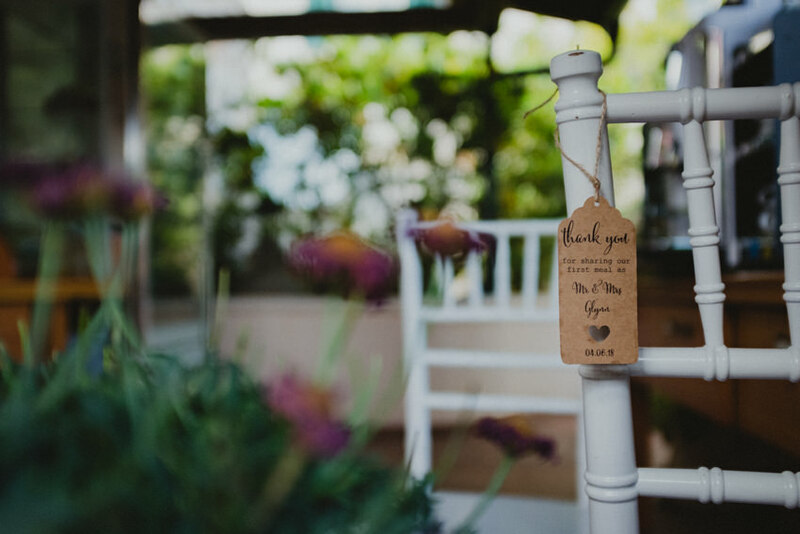 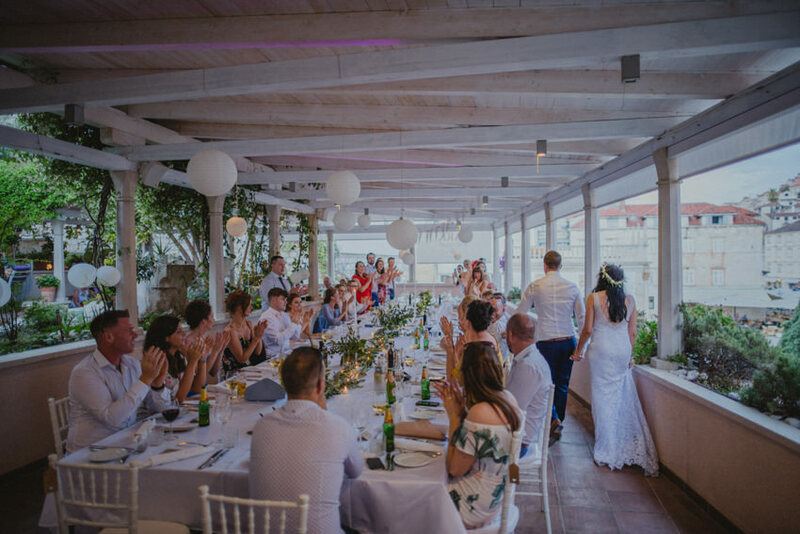 The planning had it’s ups and downs, like when the ceremony venue cancelled their booking due to renovations. 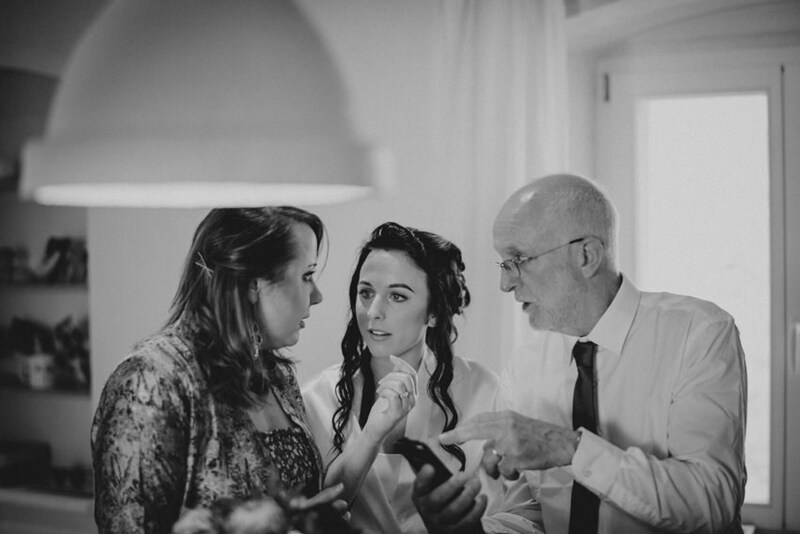 I can only imagine how stressful that must have been! 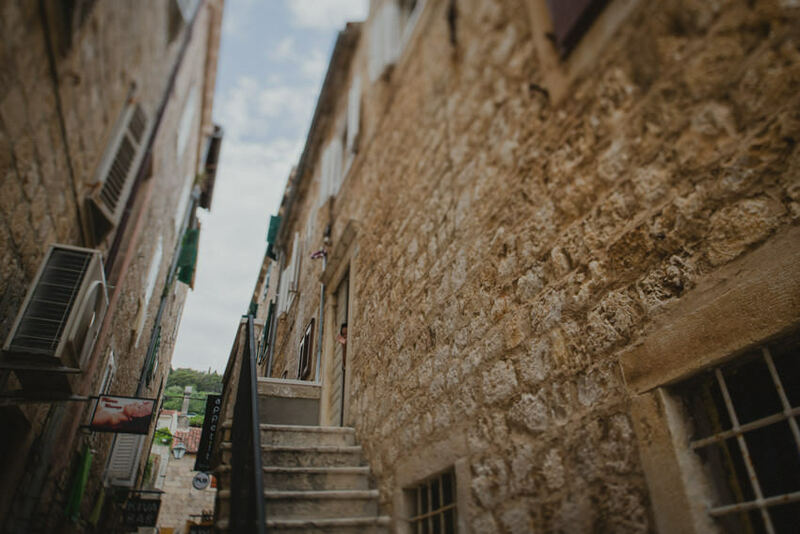 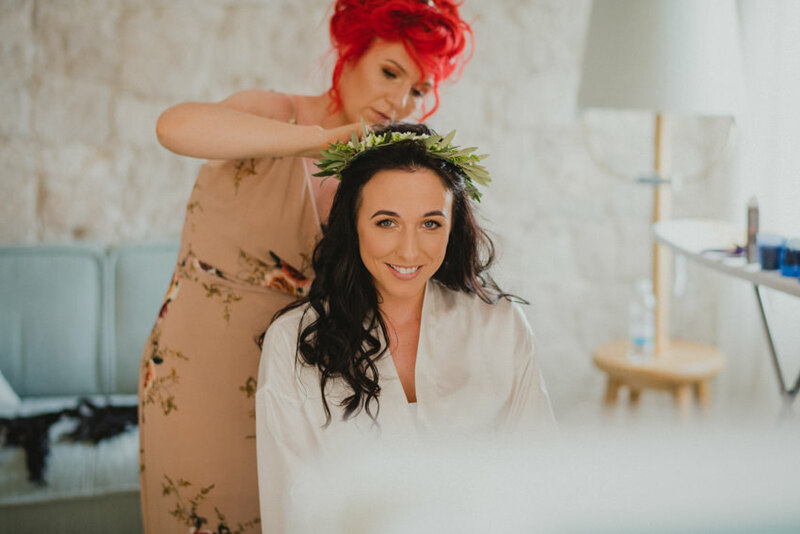 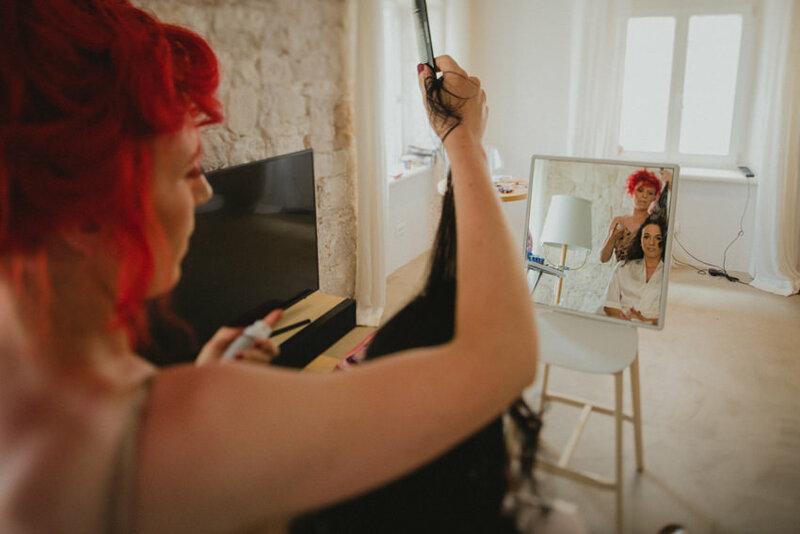 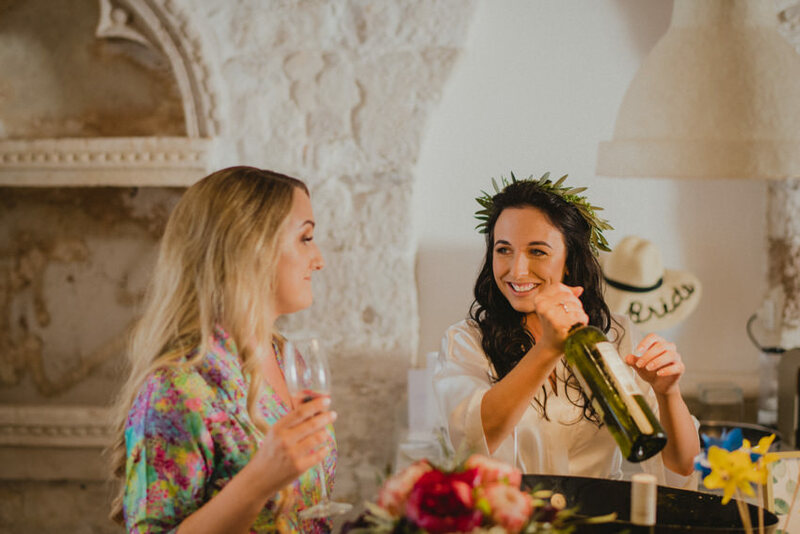 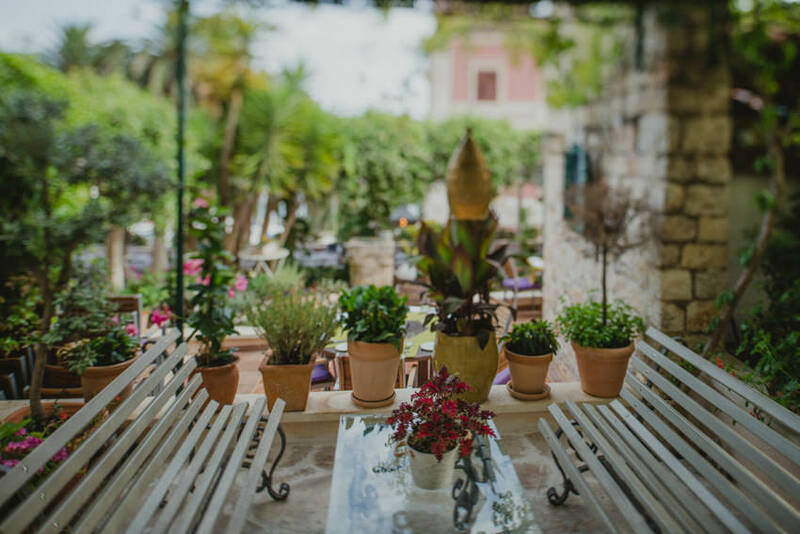 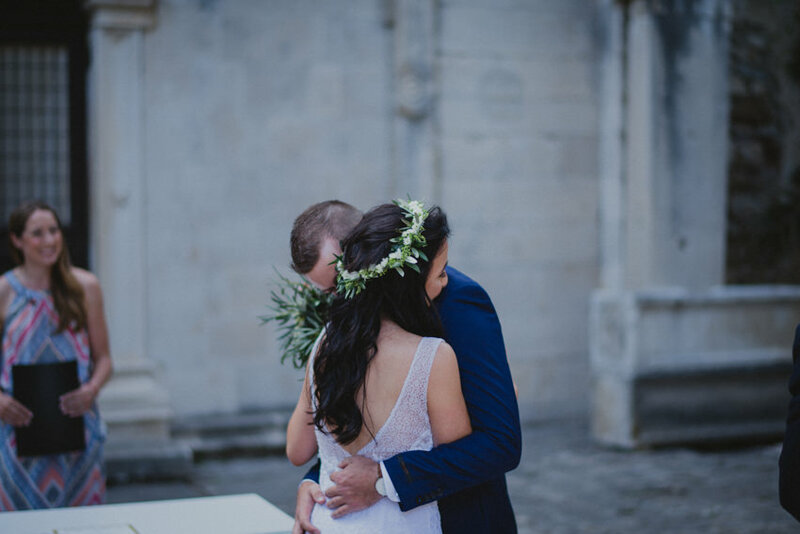 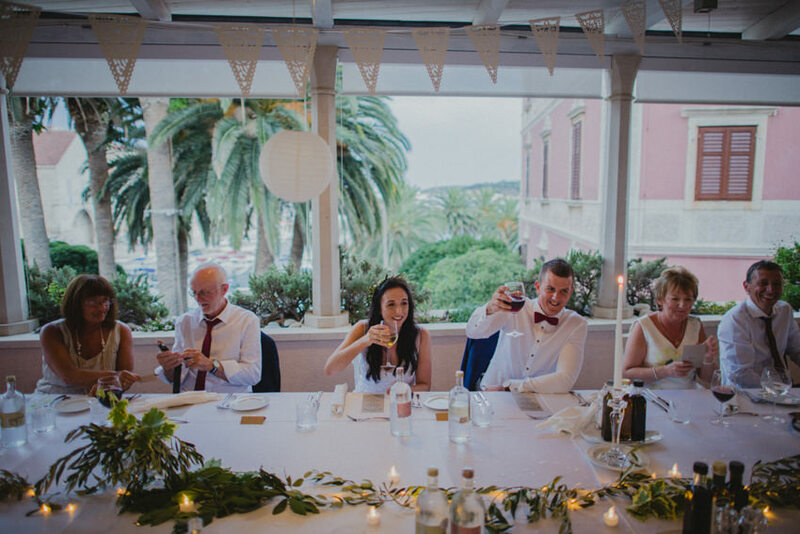 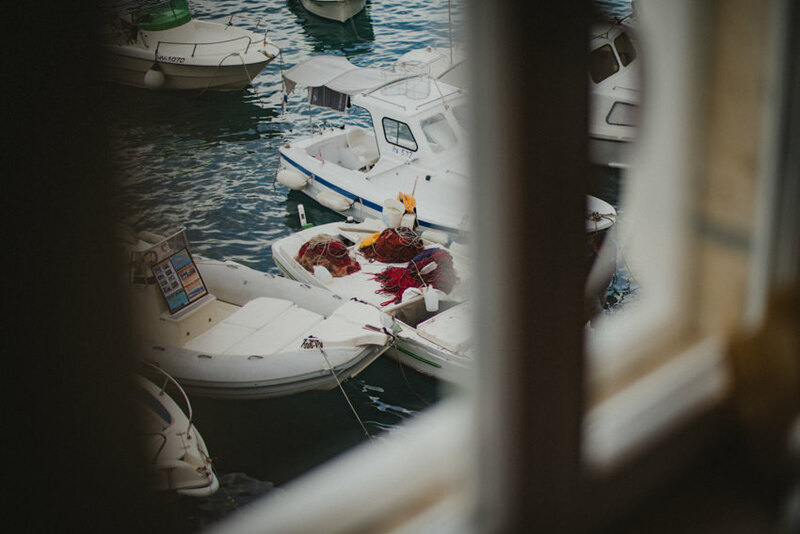 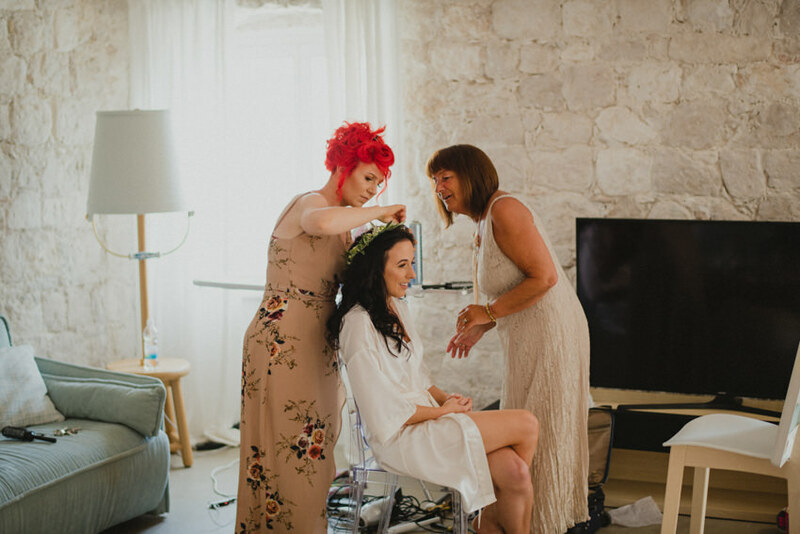 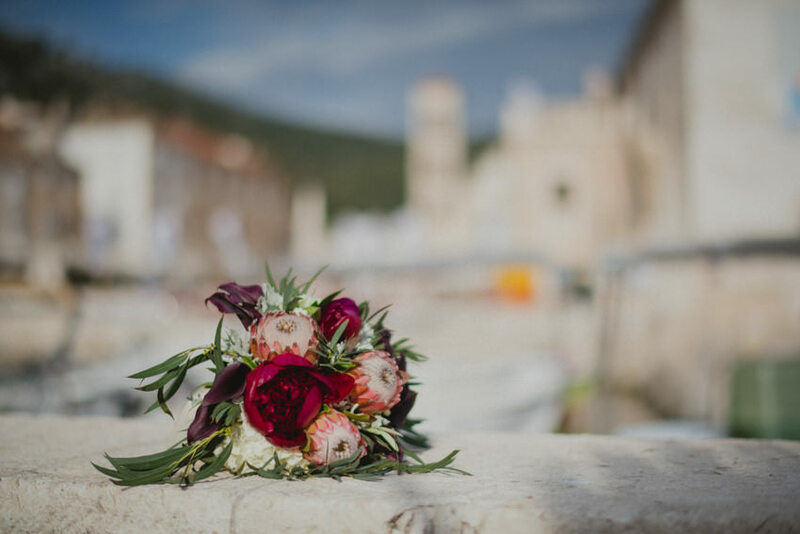 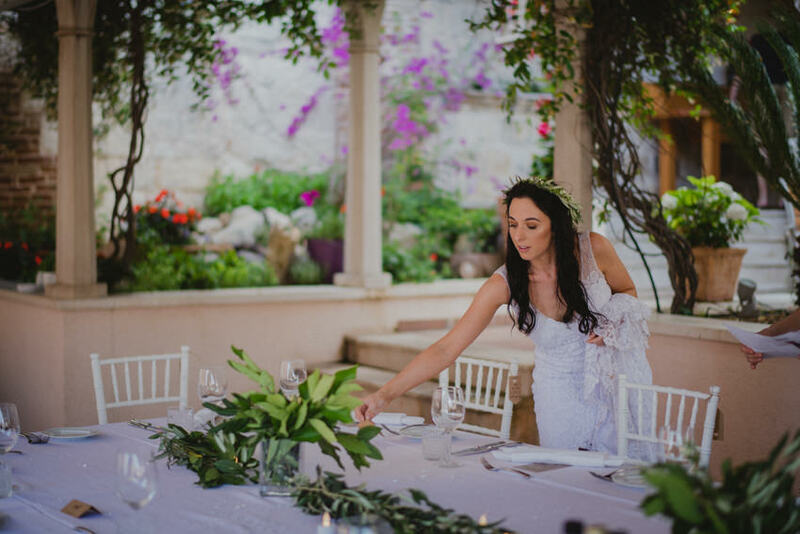 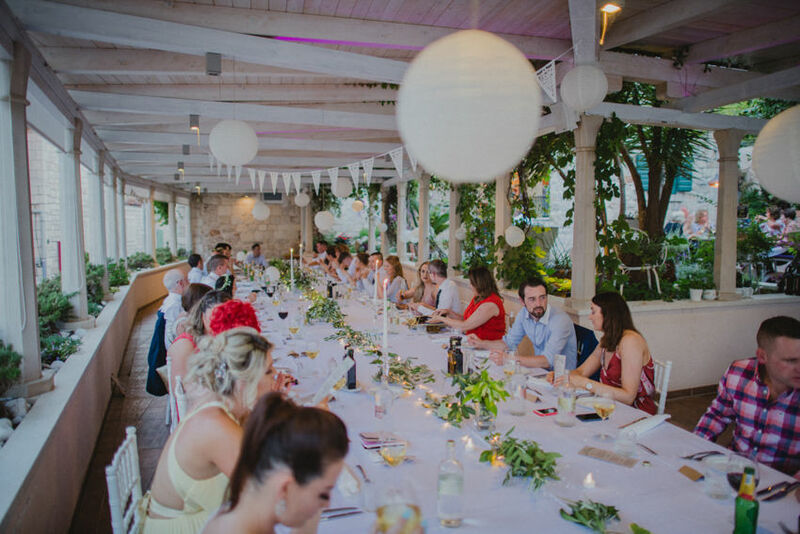 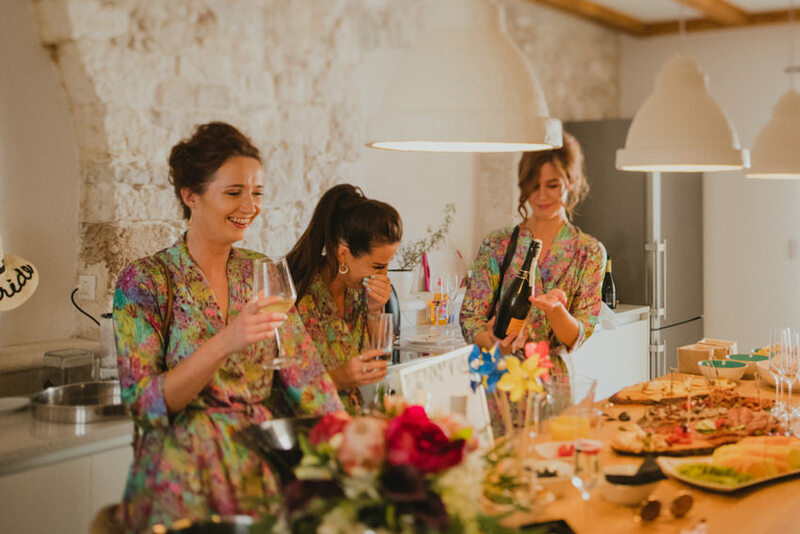 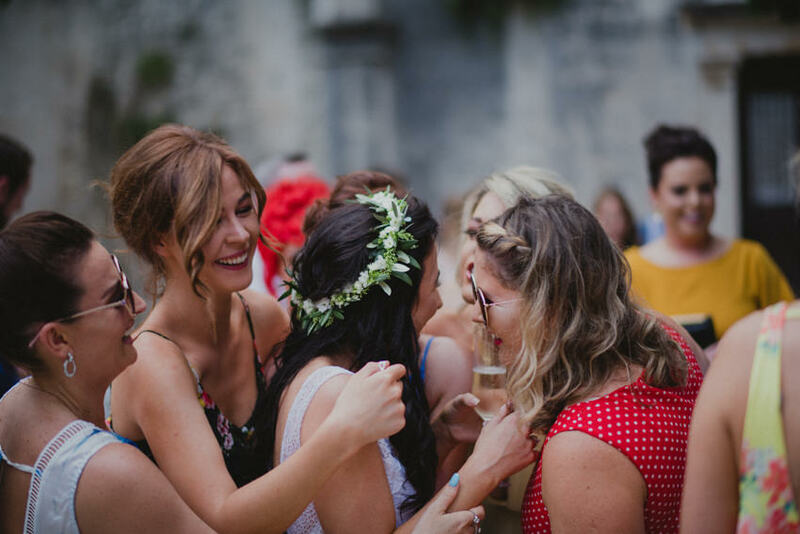 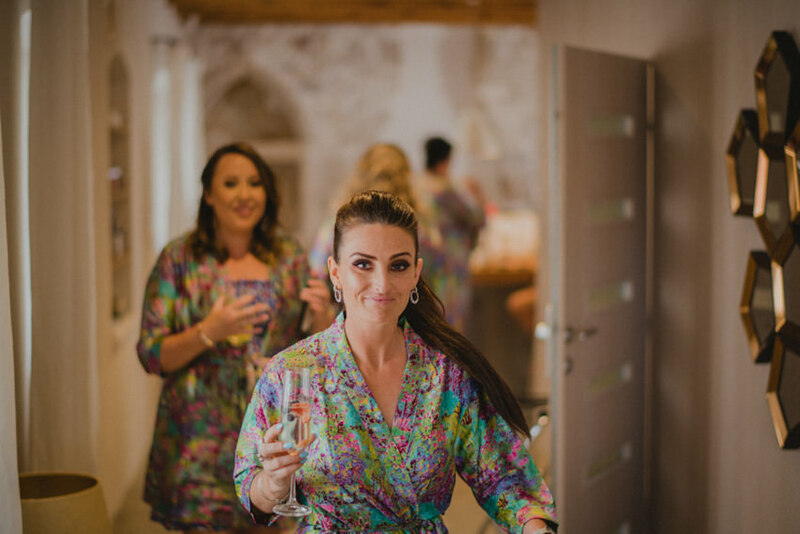 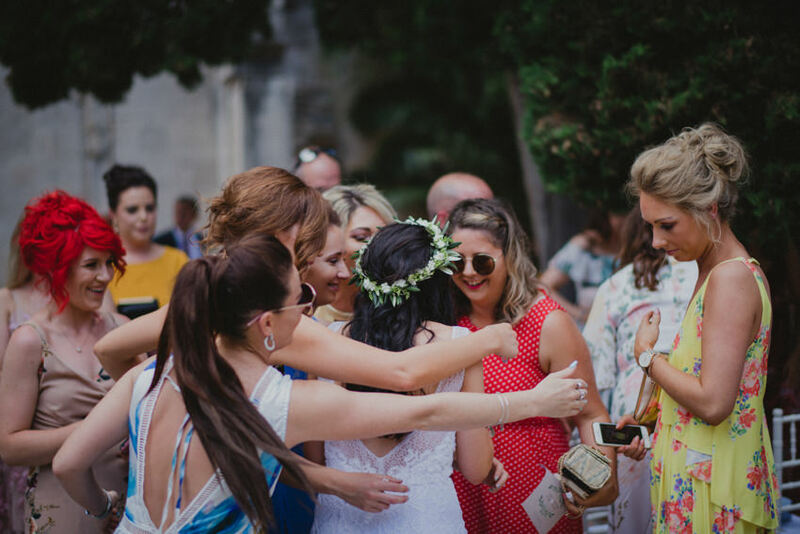 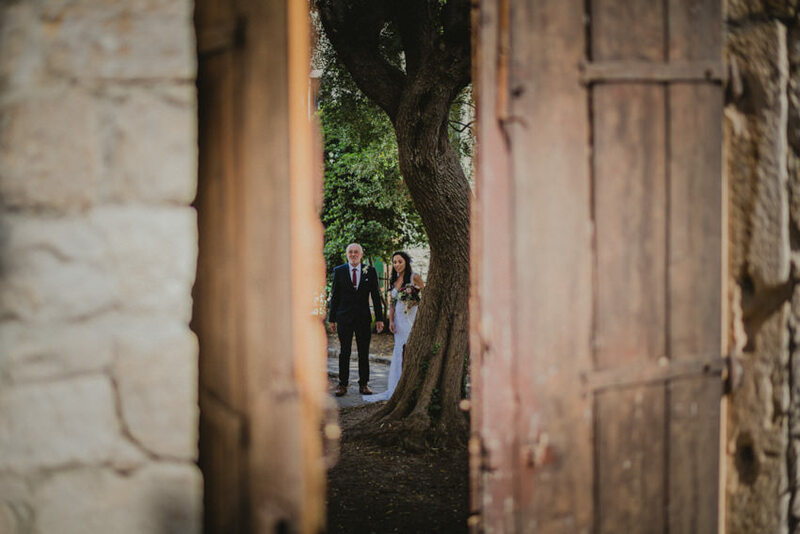 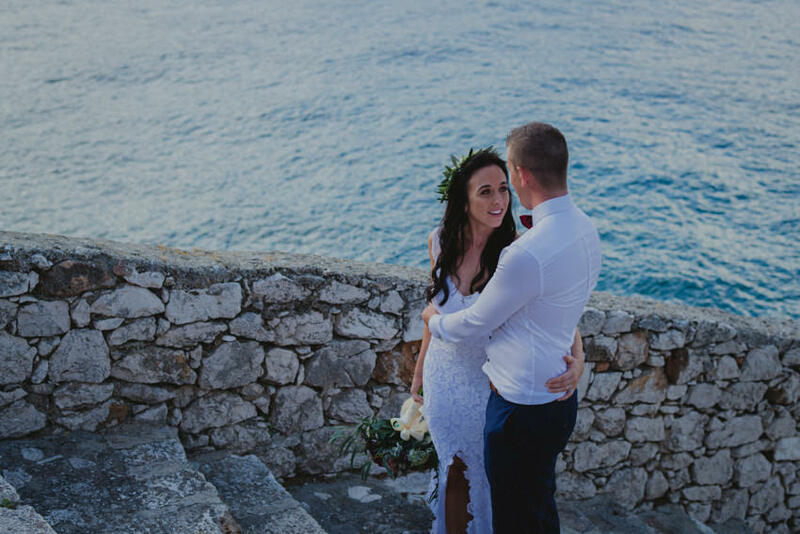 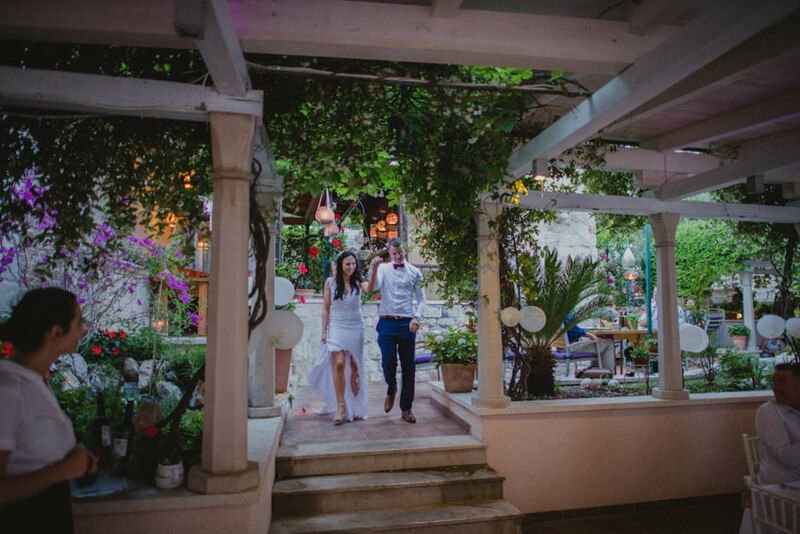 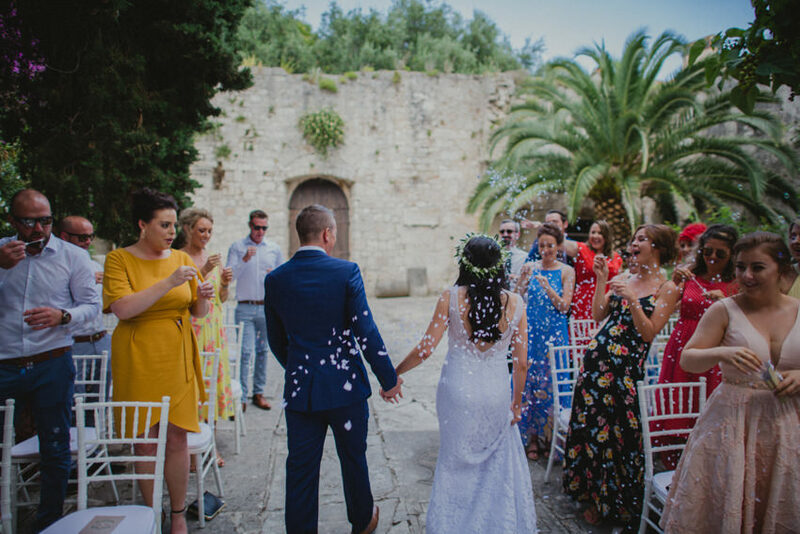 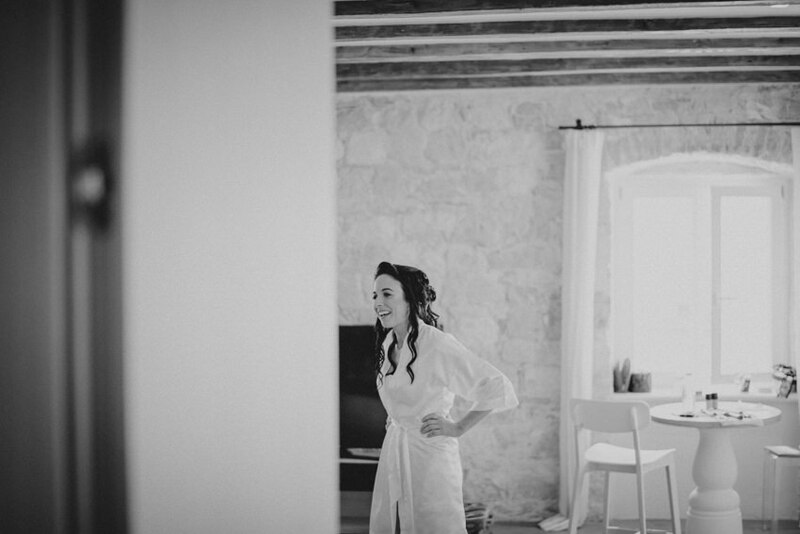 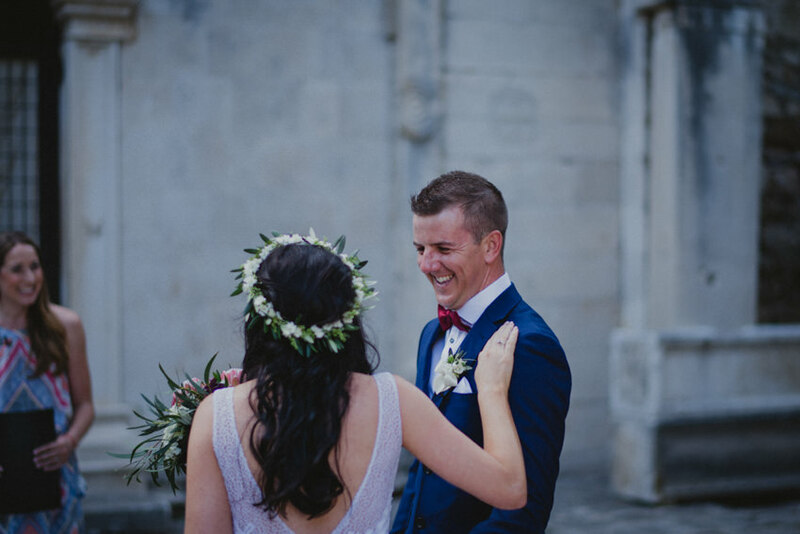 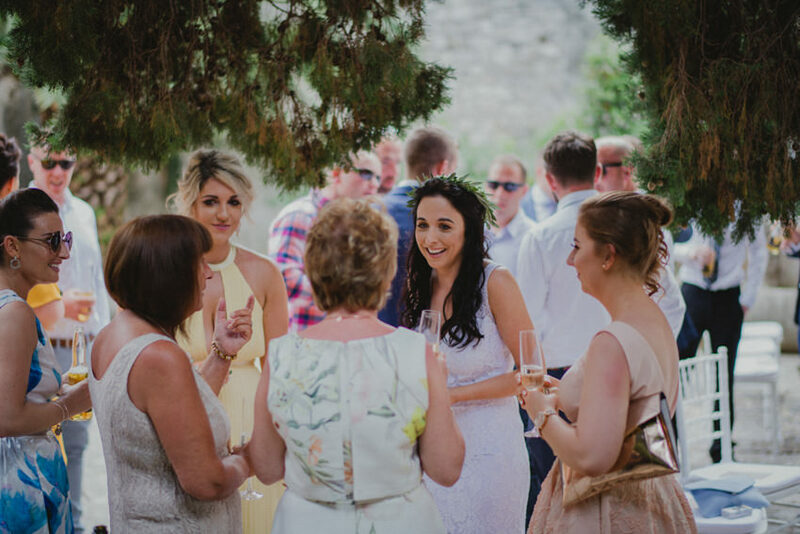 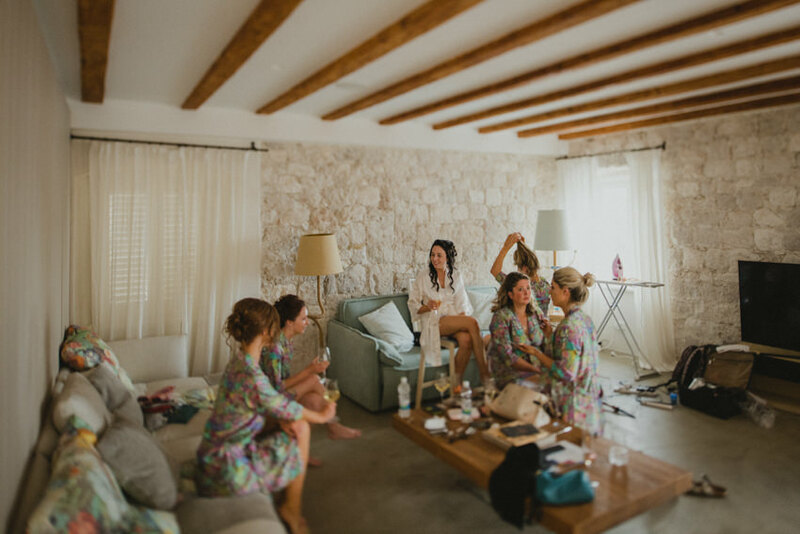 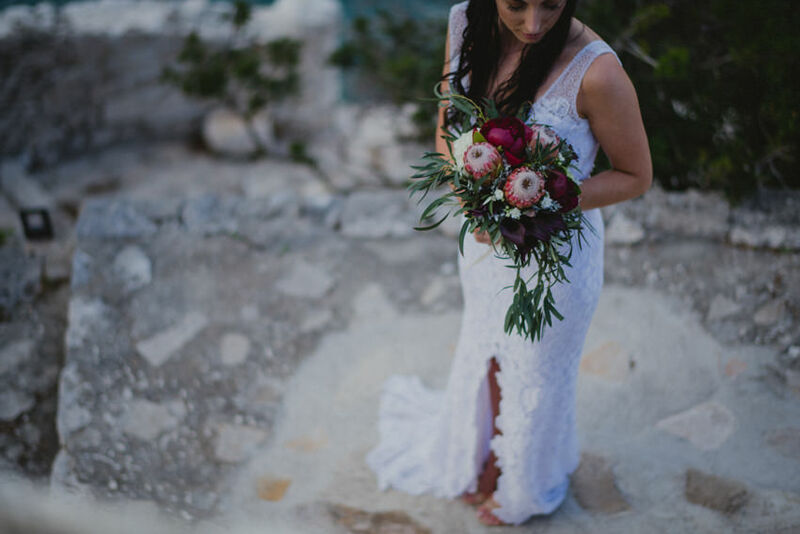 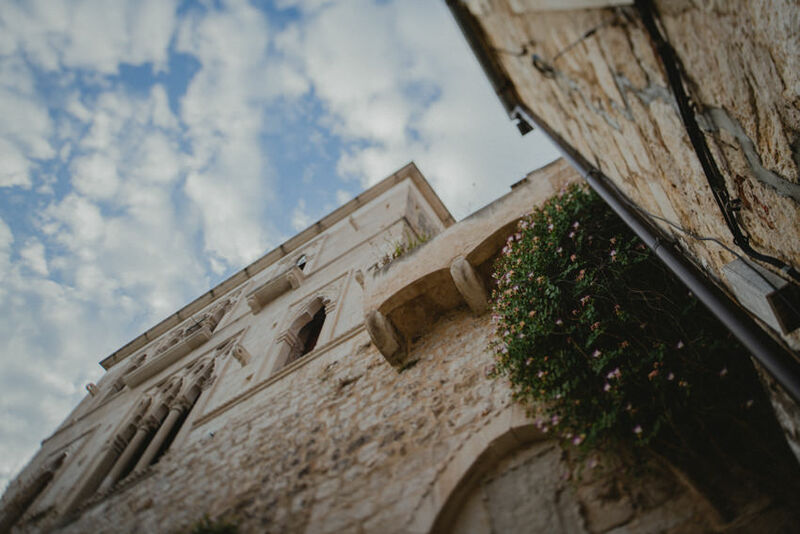 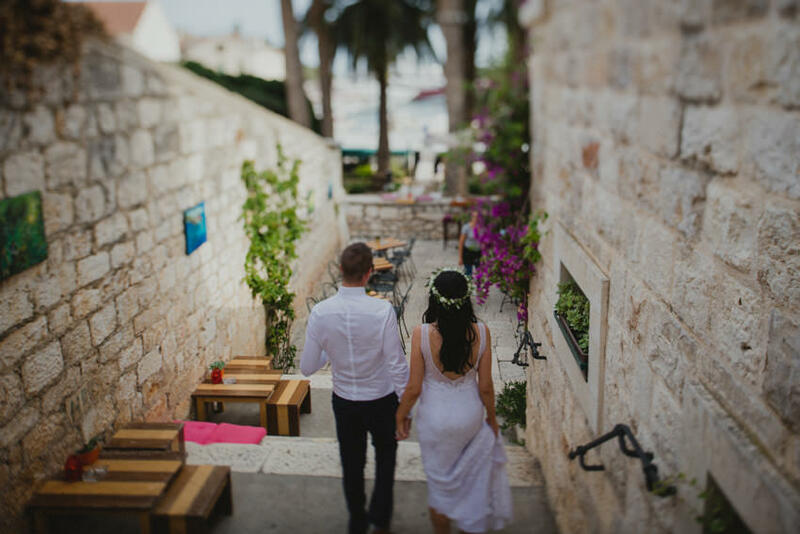 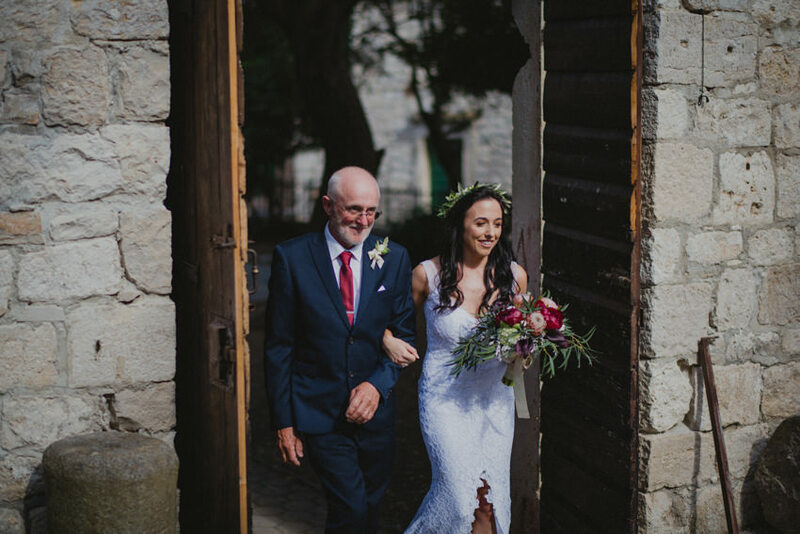 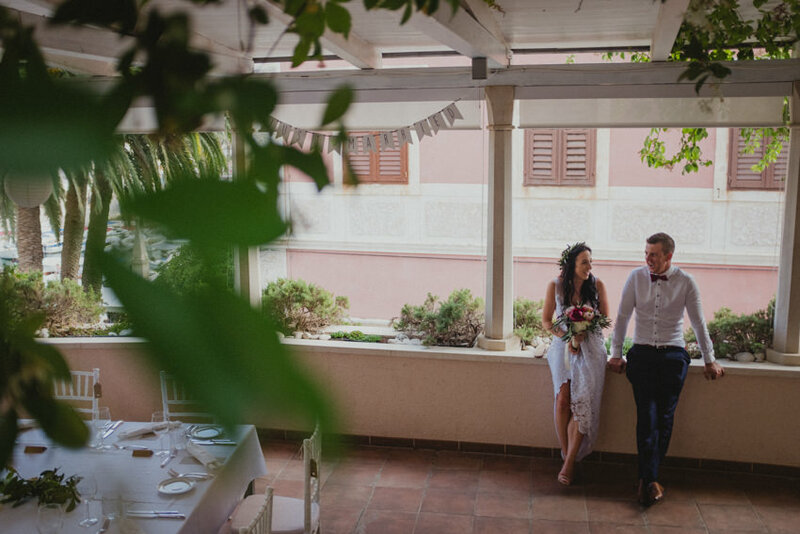 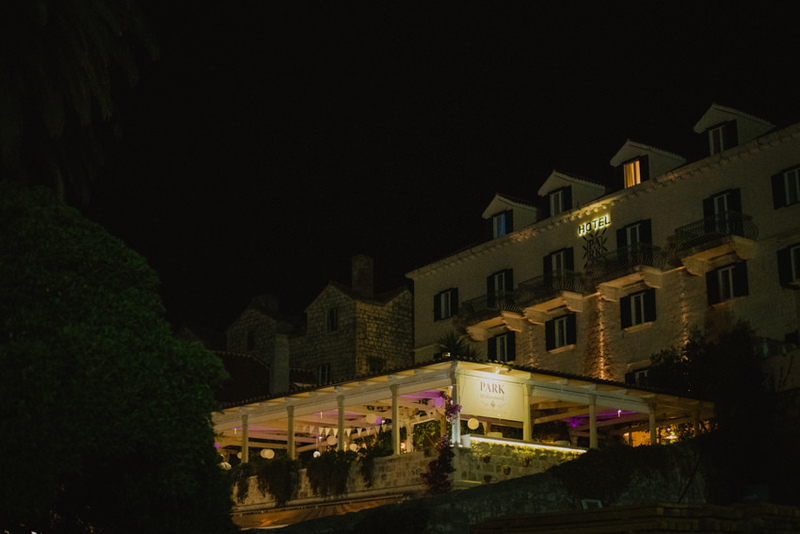 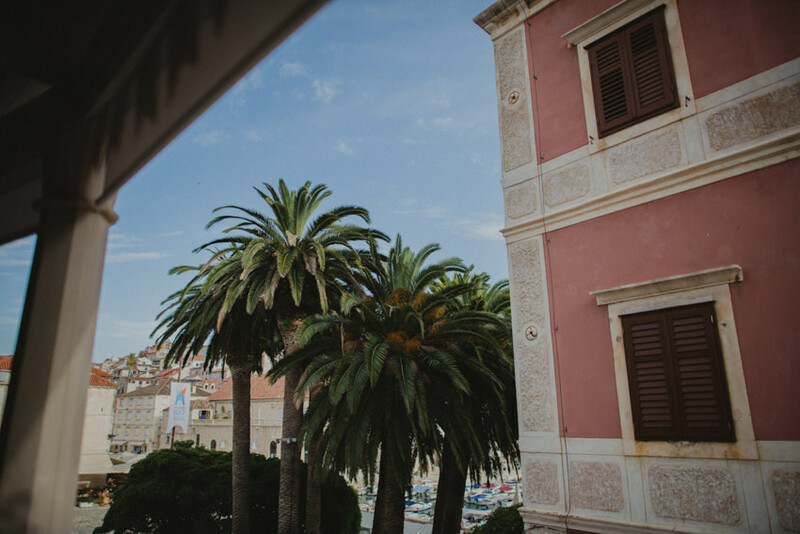 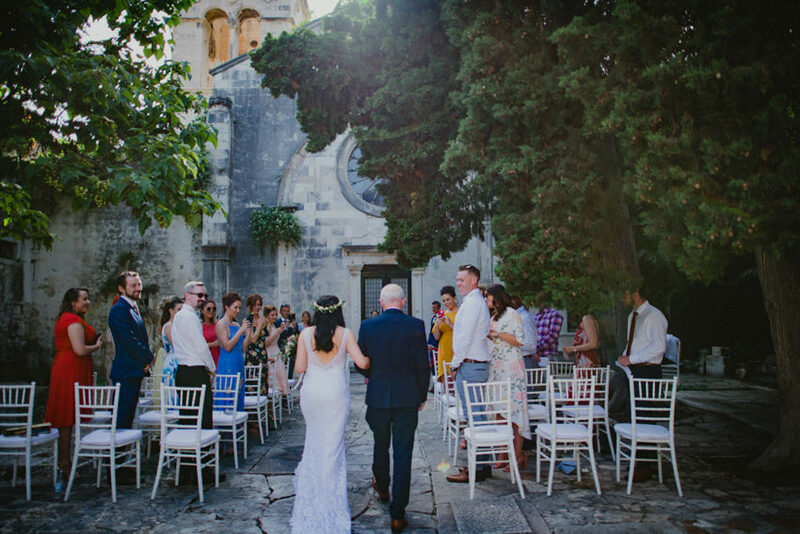 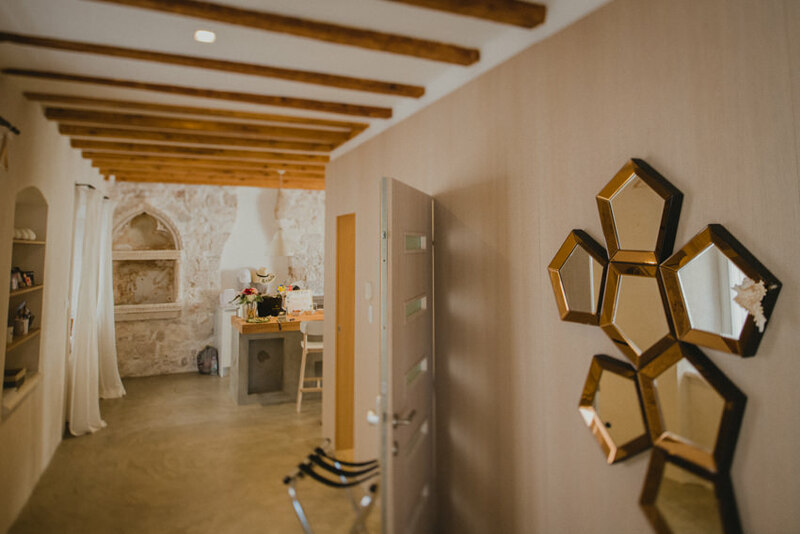 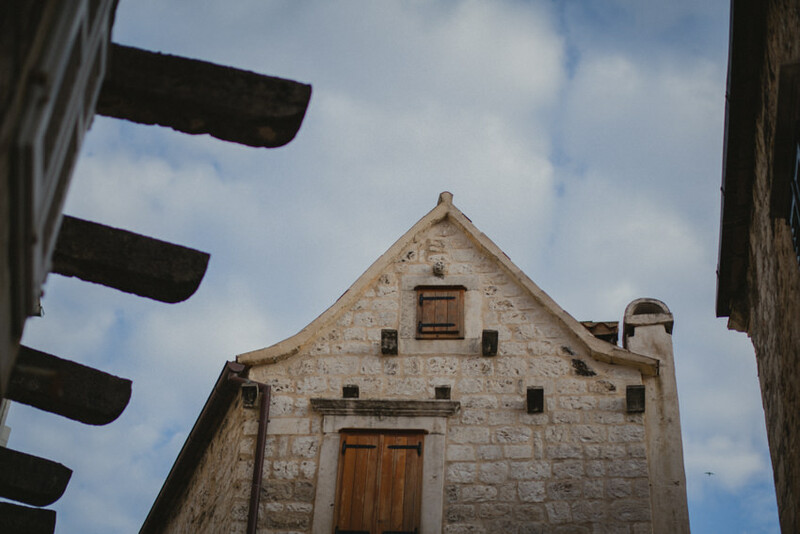 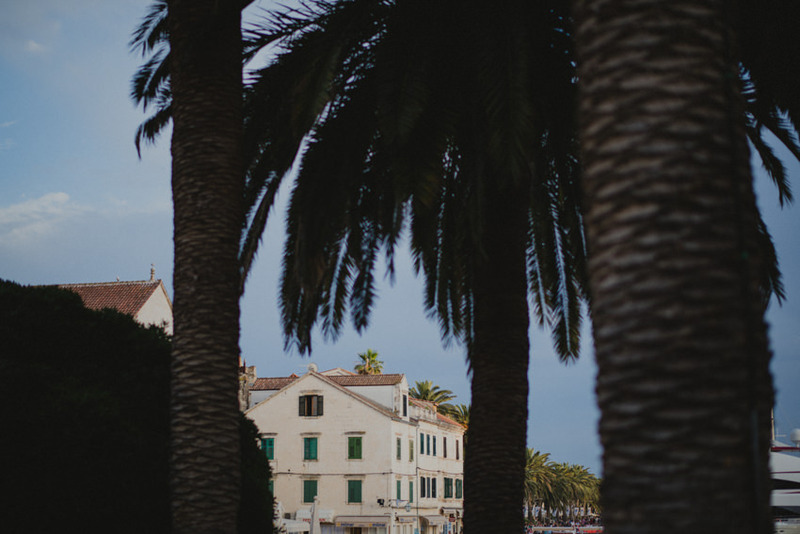 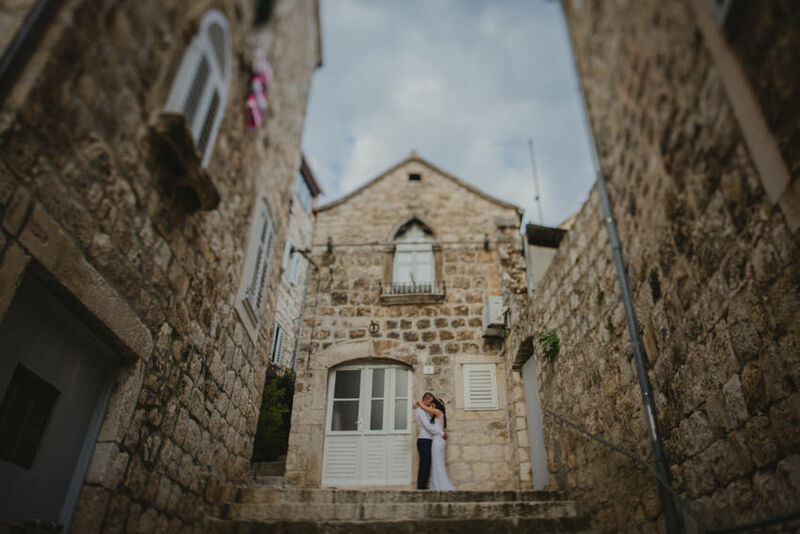 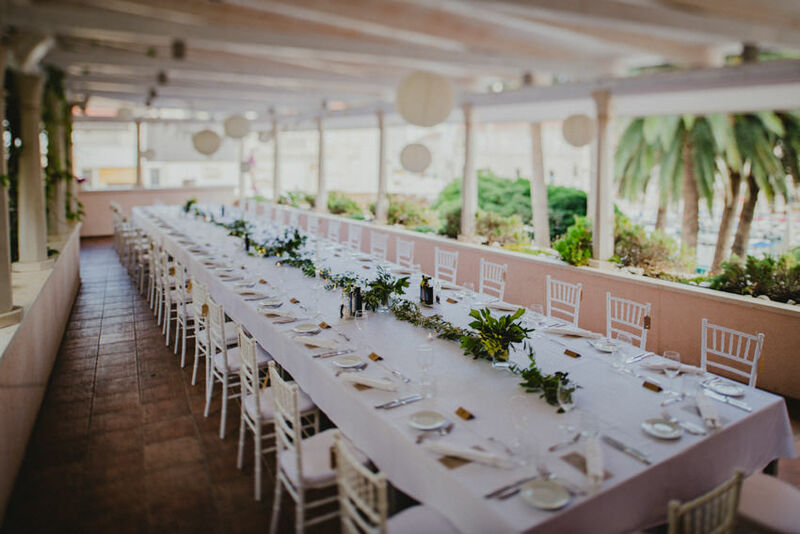 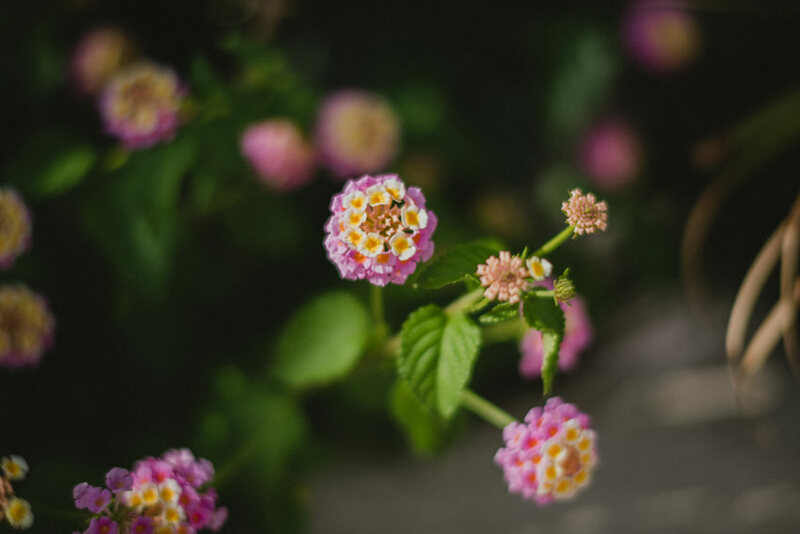 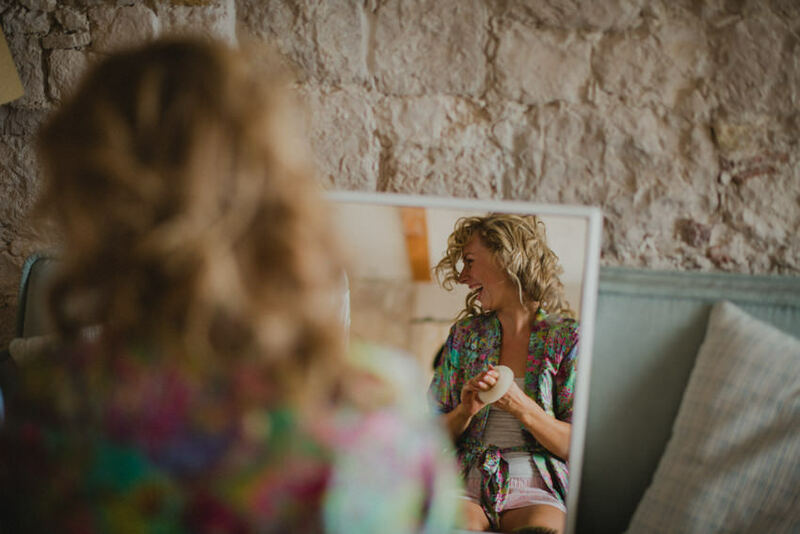 As a Hvar wedding photographer, I naturally happened to be on Hvar again, shooting a wedding, so I spent one day exploring around, recording photos, videos and sound to help them envisage what kind of light and ambiance they could expect on those locations. 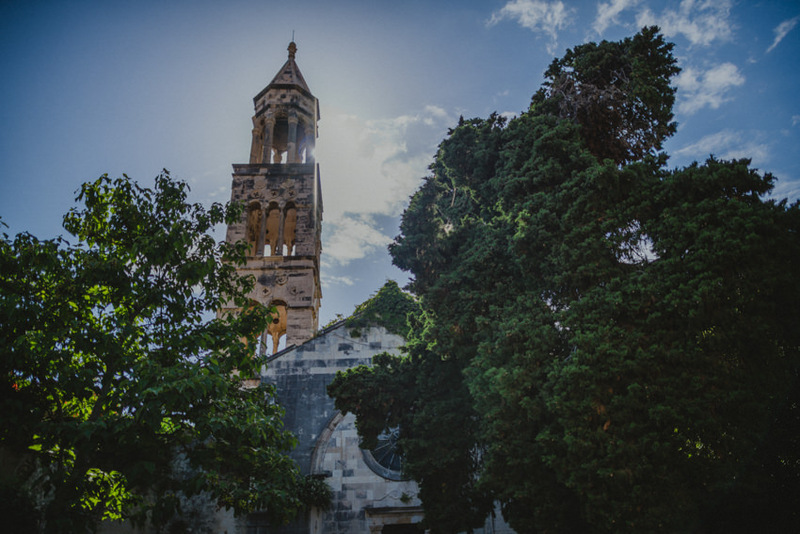 Luckily, in the process Church of St. Marak magically became available again, so that’s what we went with. 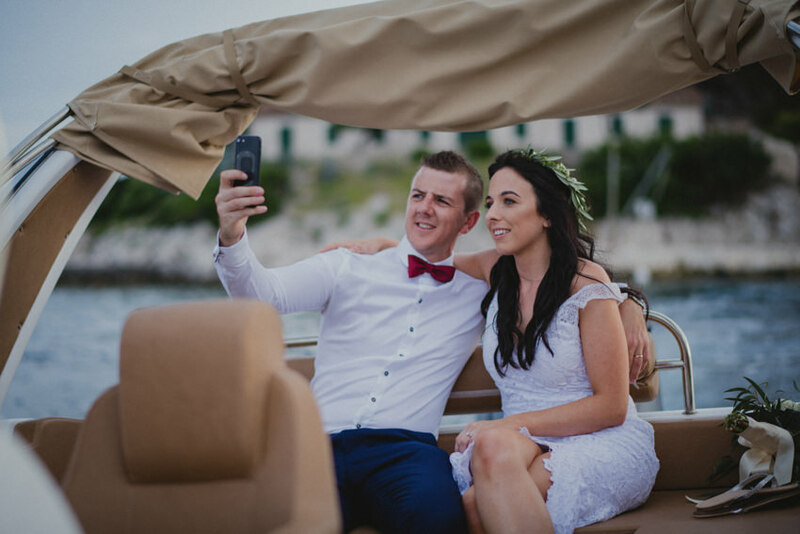 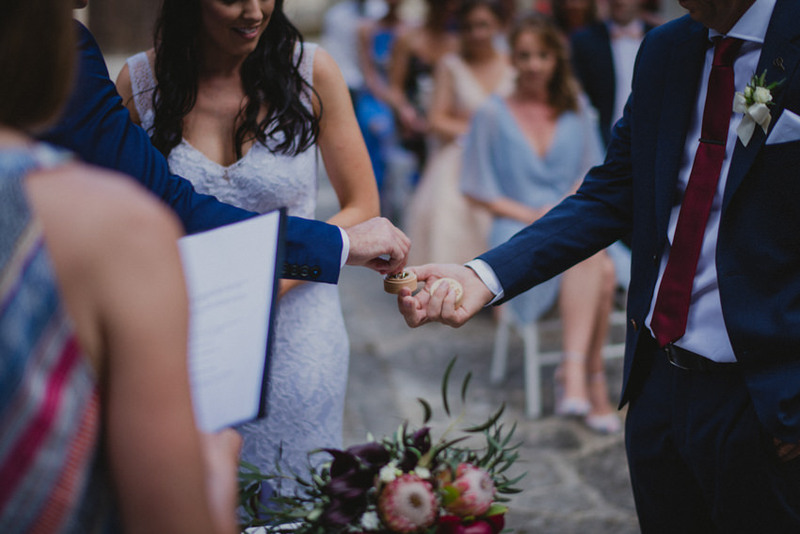 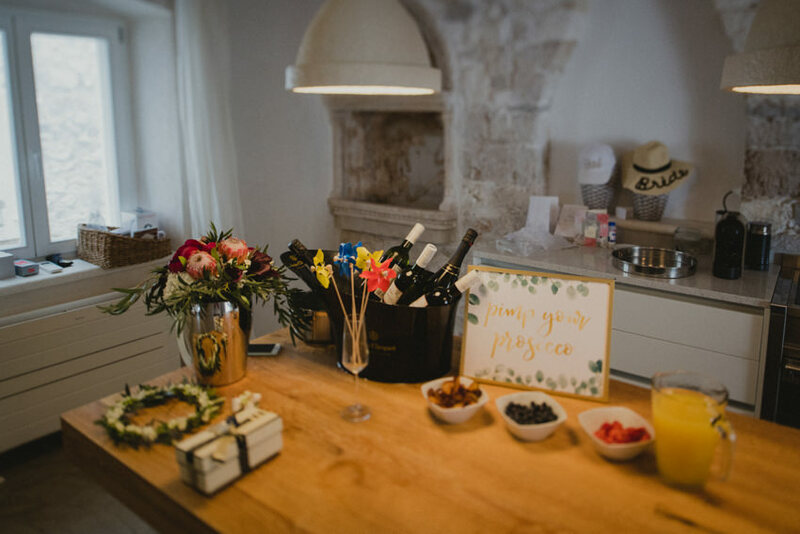 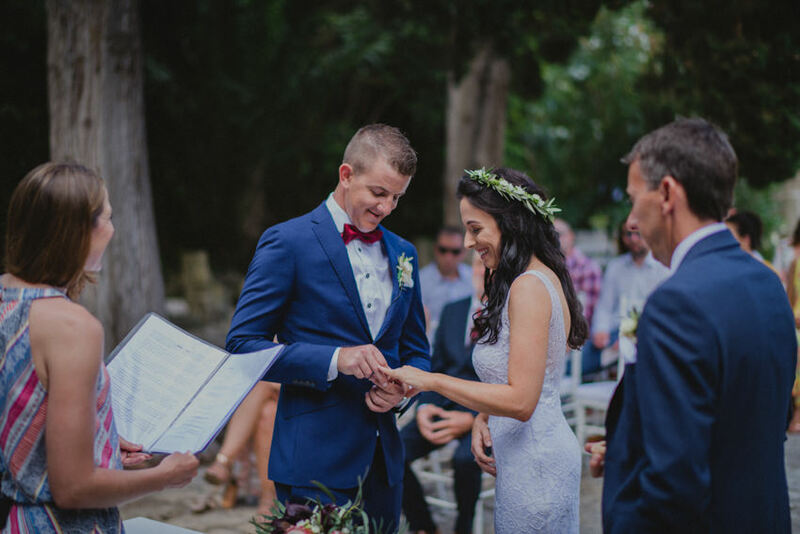 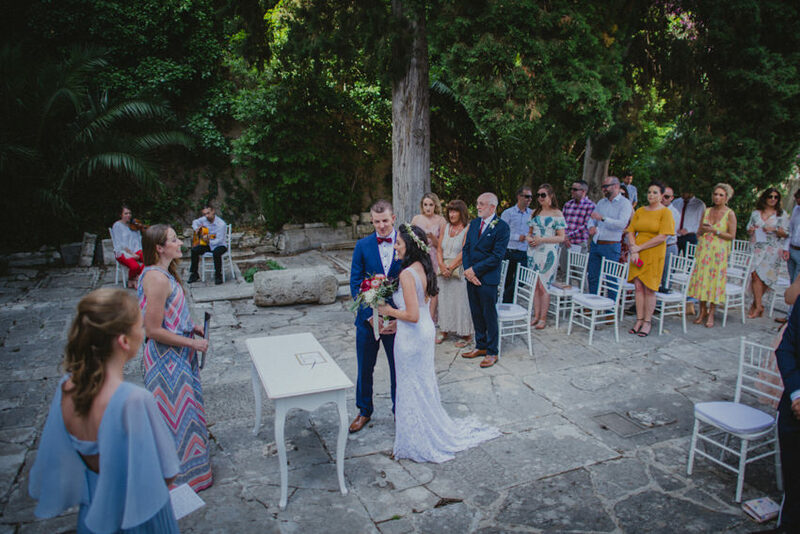 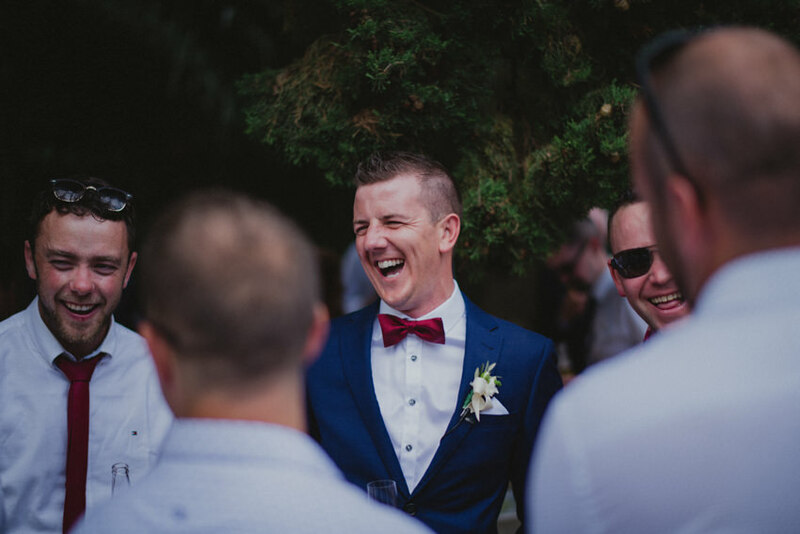 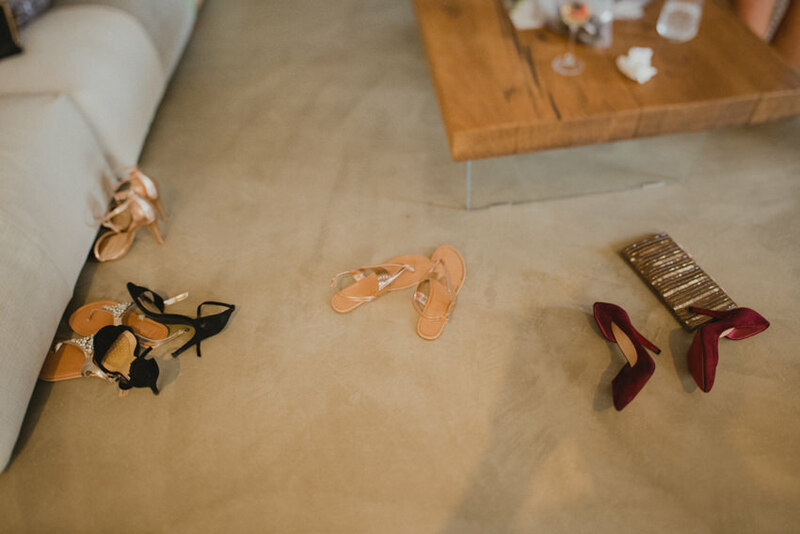 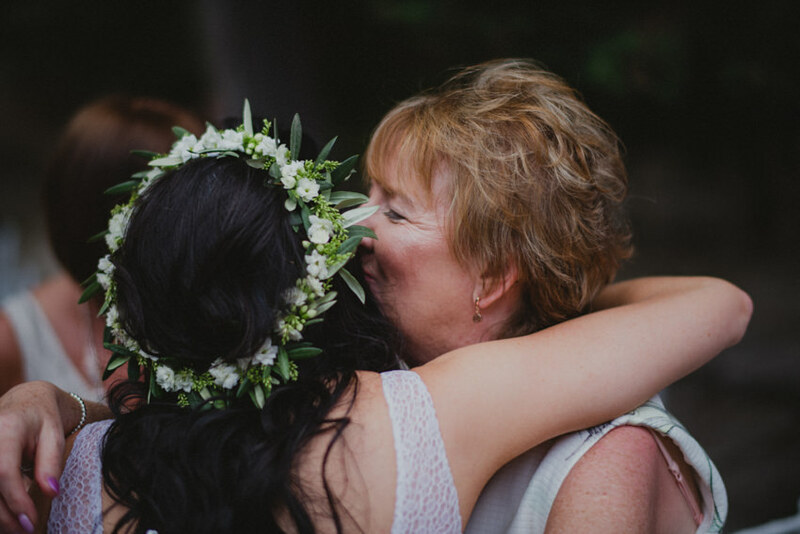 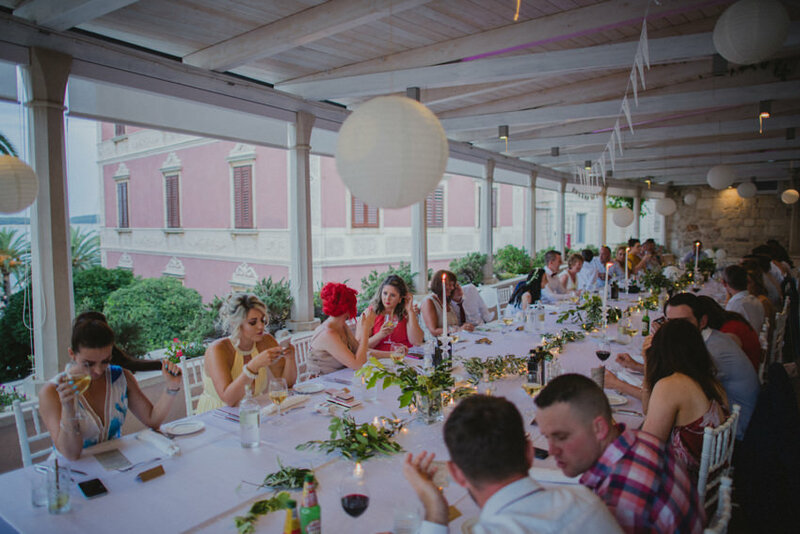 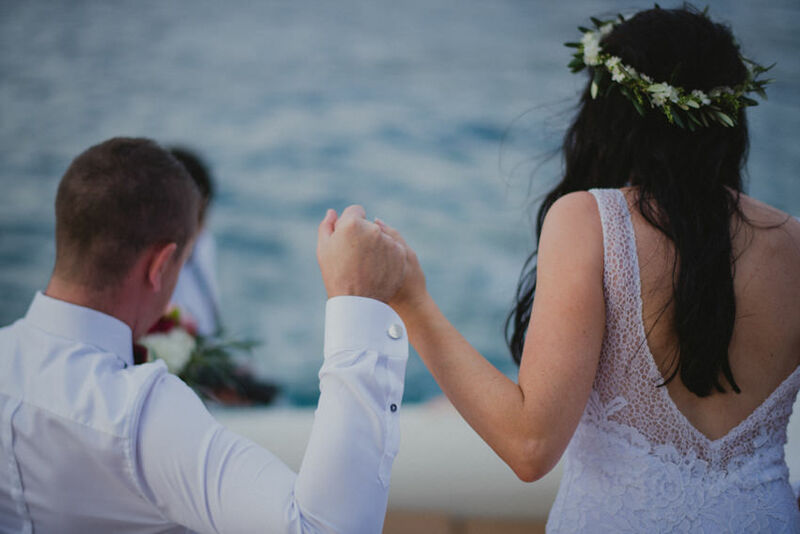 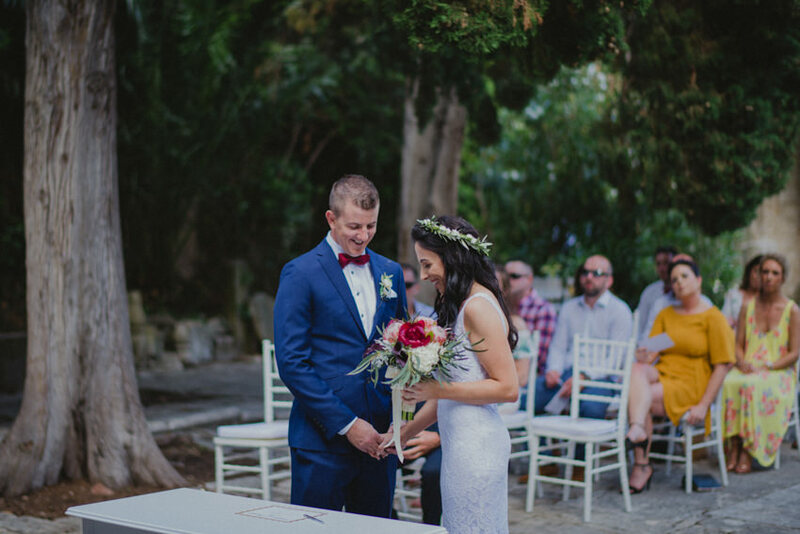 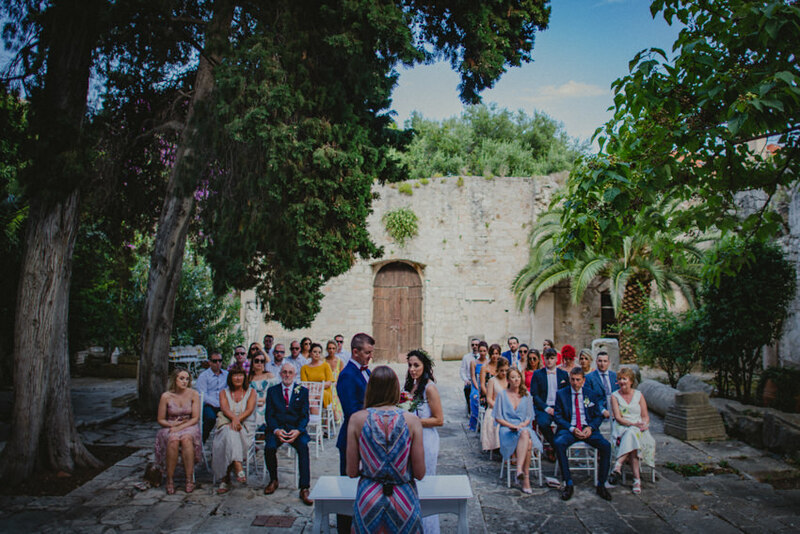 We also worked together on some other little details, like moving the dinner reception off a smaller island back to the main island when the venue didn’t really come through in the way we hoped; or booking a taxi boat to go for a private session on Gališnik islet (we just had to have a boat ride during the wedding, what can I say?). 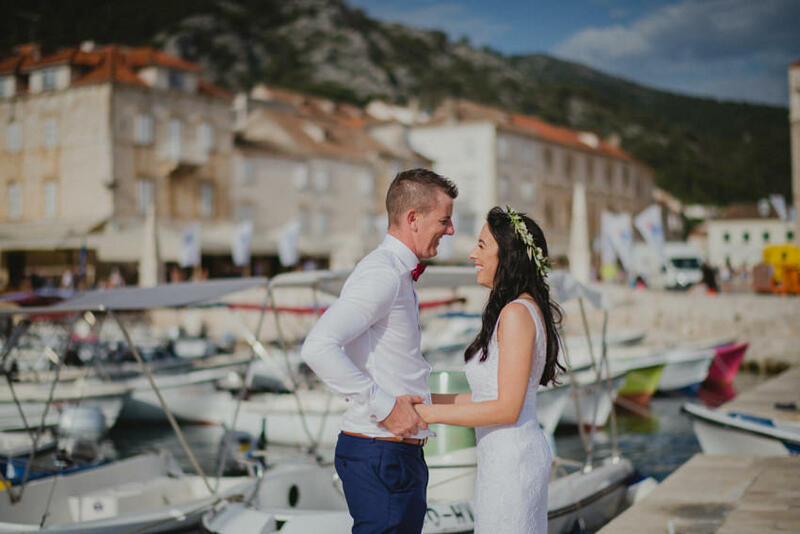 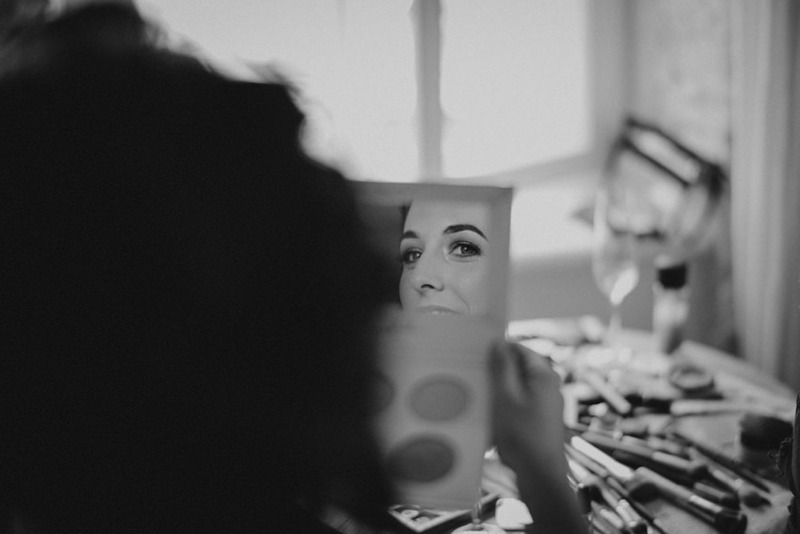 You’ll notice a lot of “we-s” in this description and that’s for the simple reason that I slowly but surely got involved and invested with the planning, sharing the joys and worries of it with Shona and Bryan. 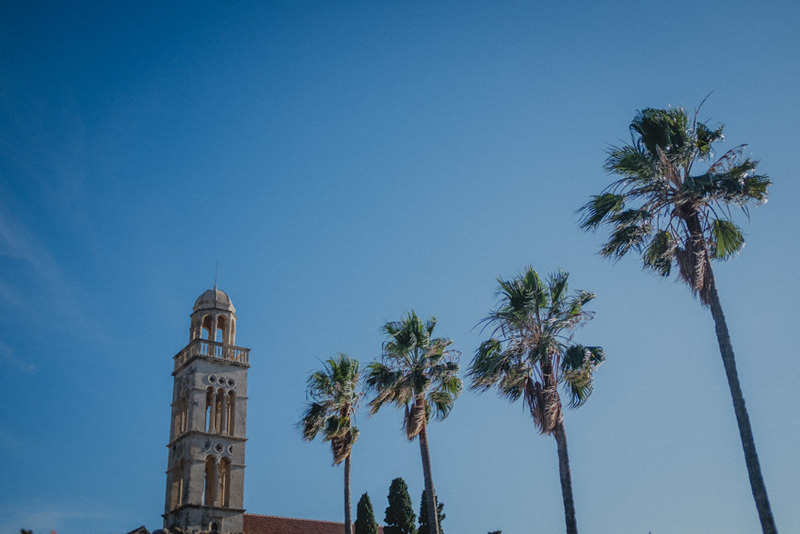 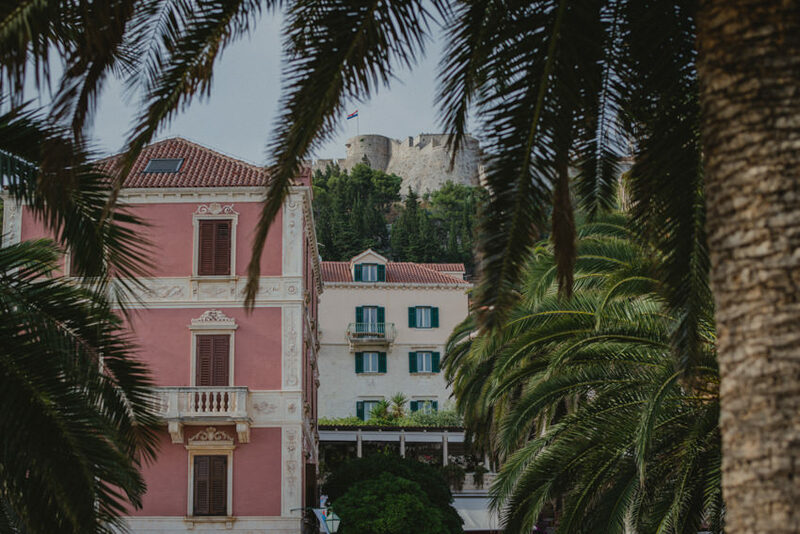 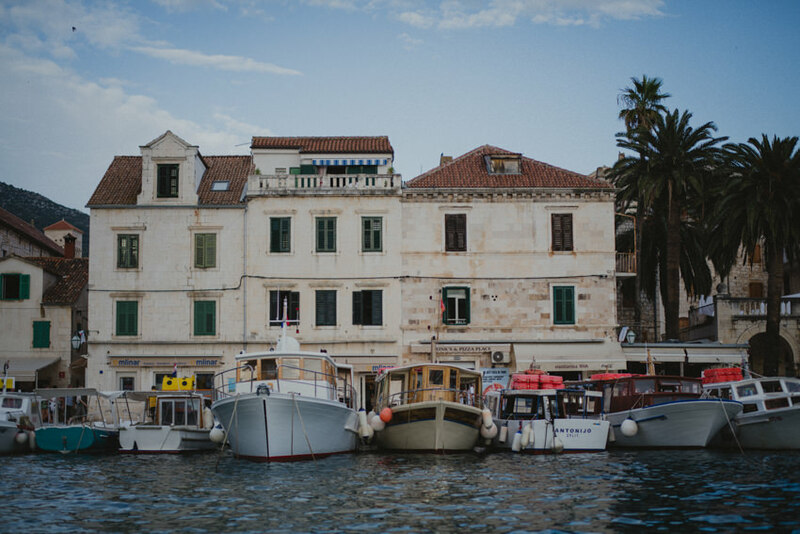 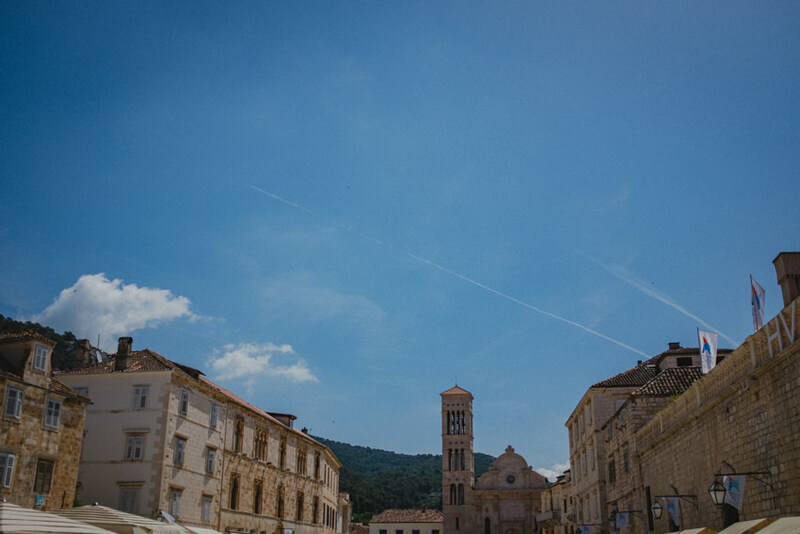 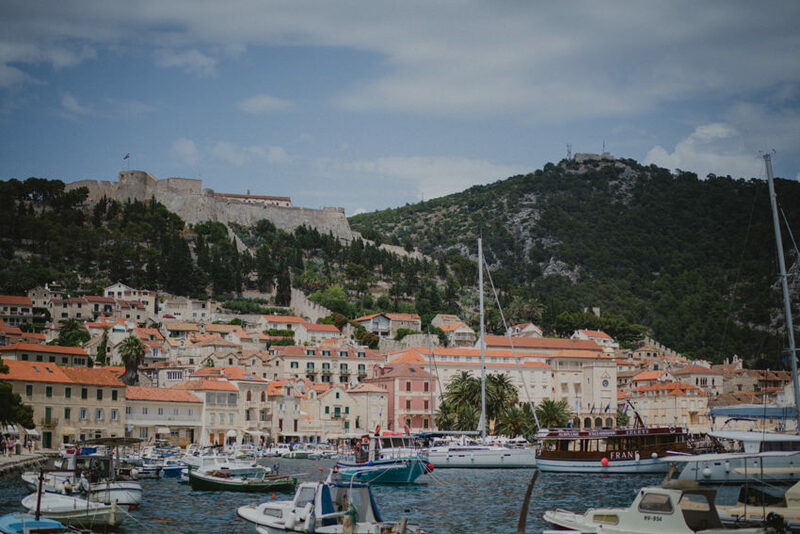 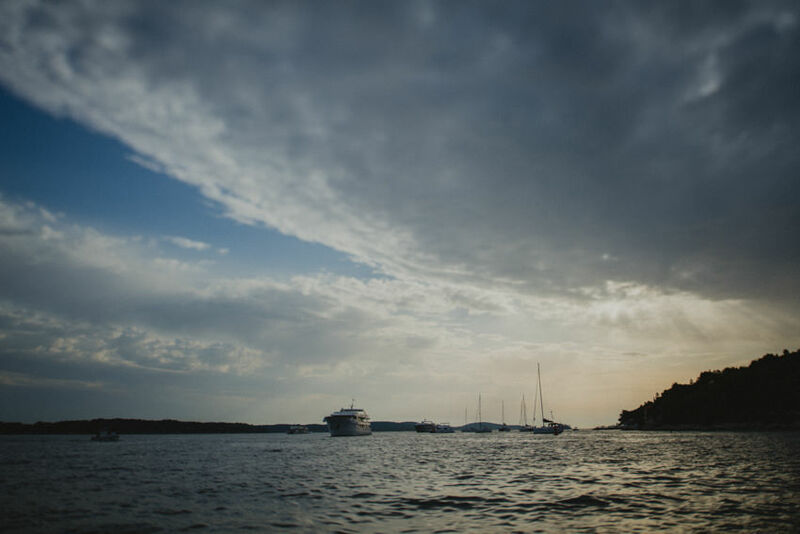 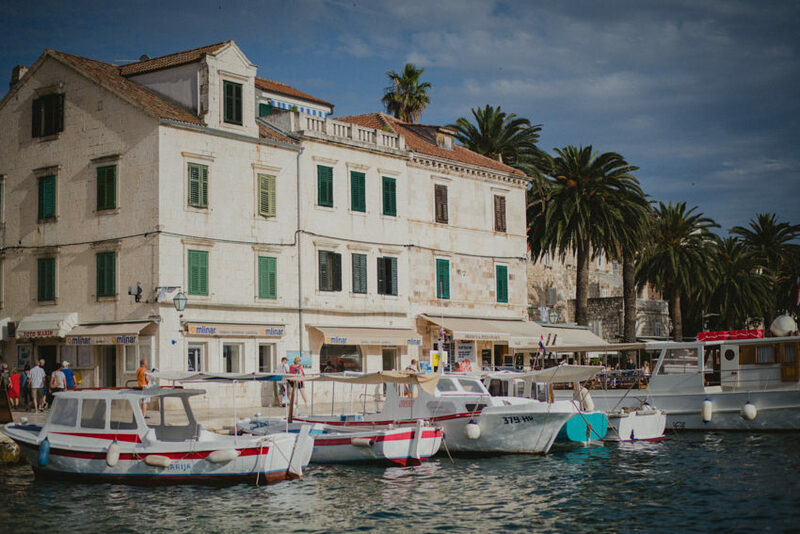 Enjoy this amazing journey through Hvar!